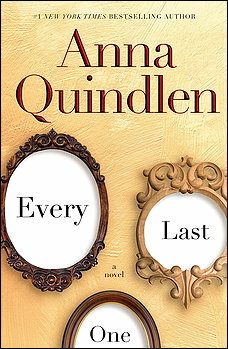 Anna Quindlen is an expert at drawing you in, making you feel comfortable, part of the family. In Every Last One, you become immersed in the trivia of the Latham family, but, rather than being bored, you become part of their lives. Expectations are low because you know what is happening; it’s all very Ozzie and Harriet – middle class parents trying to survive their teen-age children. Mary Beth Latham is the novel’s star. She gave up dreams of writing when she married young. Her daughter Ruby, who is now a talented and aspiring writer, is the high school literary magazine editor. Glen plays the stalwart husband – someone you’d see in a television series of the fifties. Twin sons complete the portrait – Alex, the young jock, and Max, the brooding drummer. Other characters come in and out of the scenes – friends and relatives who are only there to move the action. For one hundred fifty pages, you are lulled into complacency. You expect something will happen, and when it does, everything changes. Shock and then a numbing effect – like sleepwalking toward an ending that couldn’t get worse, you hope. Suddenly, you are reading a different book; get out the box of tissues. This is the author who wrote A Short Guide to A Happy Life, second only to Dr. Seuss’s The Places You Will Go, as a graduation gift for words of wisdom. So, read Every Last One, not for the story, but for the insights and maybe a catharsis of your own. This entry was posted in books, reading and tagged Anna Quindlen, drama, family relationships. Bookmark the permalink.